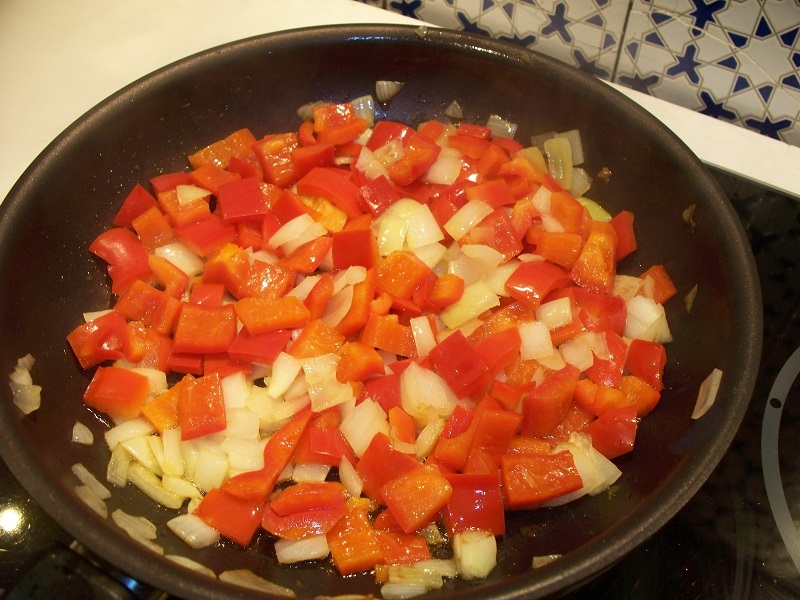 When someone comes to dinner at our house, one of Bill’s favorite questions to them is “Do you like pepper?” as he stands nearby with the fresh pepper grinder in hand, ready to blacken their plate. We both like spicy foods (well, some slightly more than others) and back in Atlanta we frequently visited a Mexican restaurant that knew the true meaning of caliente. (Yes, Spanish speakers, I know that means hot temperature rather than spicy, but I’ll get there in a minute.) 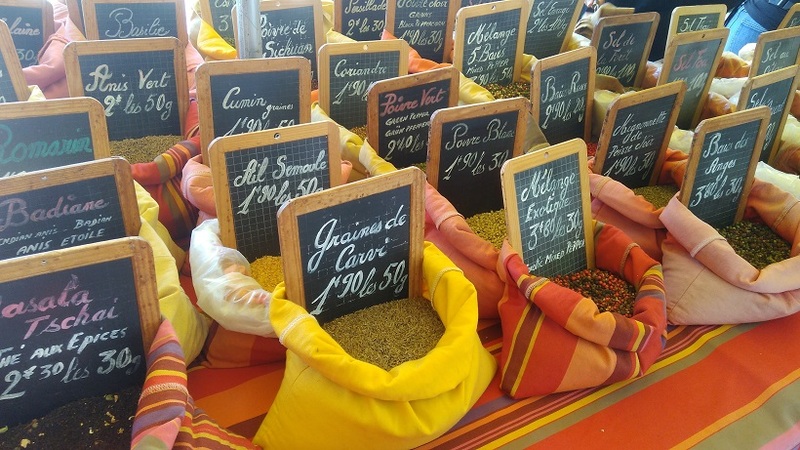 When we arrived in France and went to the market we were pleased to see an entire display devoted just to spices. After we loaded our backpacks with fresh fruits and vegetables, some grown as close as the farms that surround Carcassonne, others elsewhere in France or just to our south in Spain, we wandered over to this colorful array anticipating finding all of the exotic powders we were used to. Sure enough there was cinnamon, basil, thyme, oregano, garlic powder, and at least 2 dozen more including of course, herbes de Provence. But what about chili powder, pepper flakes, serrano, chipotle, or anything marked “HOT!” ? As in the US, business franchises are popular here. Carcassonne has 2 identical “soap from Marseille” stores. 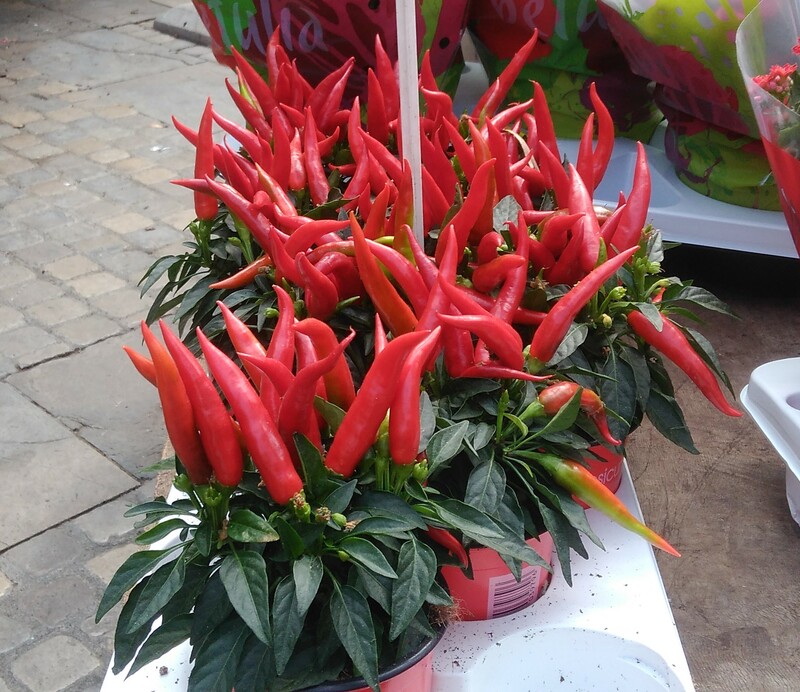 In Charleston, SC, New Orleans, and several other American cities popular with tourists, there’s a chain of “palaces” that sells peppers in every form possible. If it’s anywhere on the heat index these stores will let you pour it, shake it, sprinkle it, rub it, dip it, spread it, drink it, and even sniff it. Although we live in the land of castles and palaces, and up to 3 million visitors a year pass through our city alone, I don’t think that one of these chili shops would last a season here. Out of all of the people whom we have met since we moved here, only one has said that he enjoys spicy foods. The supermarkets we go to all have “international” sections where you would recognize the brand names of the Mexican foods and you would find all of the sauces, salsas, and dips marked “mild”. What are spice lovers to do? Blog readers to the rescue! We’ve had the pleasure of meeting many of the people who follow our posts when they have been visiting the south of France. Each person has kindly asked the same question: Can we bring you anything from the US? Our answer was always the same: Yes, please, chili powder. Thanks to that generosity, our spice shelf is full, not only with the basics but with every derivative to successfully create Indian, Thai, Vietnamese, Mexican, and any other exotic meal or just a soothing bowl of comfort food like 5-alarm chili. 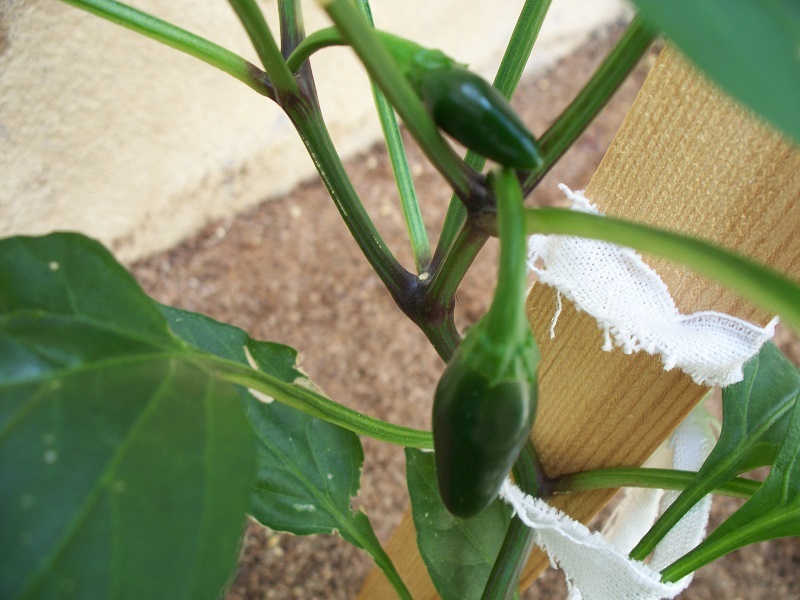 Friends and now local residents, Sally and Larry, even found jalapeno seeds for us so we have several of those plants growing in our courtyard boxes. I wonder what our neighbors will think of armadillo eggs? Posted on November 19, 2017, in Life in France and tagged Americans in Carcassonne, Food, Life in France. Bookmark the permalink. 5 Comments. I am very fortunate to have an Indian restaurant about 10 minutes away. It’s run by a couple of Punjabi guys from Paris. I always ask for my food to be spicy, and it always comes out mild. I need to have a little talk with them as I think they’re cooking to French tastes, and I like it hot! David Leibovitz says he always brings back Trader Joe’s pecans…I have 2 bags in my freezer. ; and what did I see at the Saturday market…lots of pecans…and cranberries! One of my friends in France is Mexican and always requests chilis and chili powder. I never thought of bringing seeds so she could grow her own! I am doing that next time!! Ah yes. Compost on our garden this year seeded and grew volunteer chili peppers.